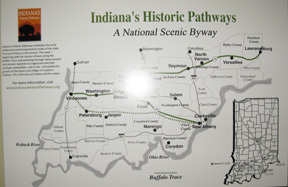 Indiana's Historic Pathway's celebrates the early settlement and transportation routes of the state from pre-history to the present. The roads—beginning with the hooves of bison along the Buffalo Trace and extending through native peoples and pioneer explorers to stagecoach and then railroad, automobiles, and trucks—stimulated the growth of the towns and villages of southern Indiana. A Teacher's Workshop was held the the museum Meeting Room. Boxes of hands-on items were made available for teachers to take back to their classrooms so students could experience history in a unique way. 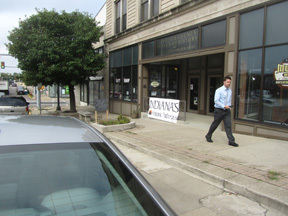 The Indiana Historic Pathway's boxes included these items and what the item represented.